Entry level job seekers get a lot of bad advice. Some of this is due to the rapidly changing world in which we live. Much of the advice about cover letters is outdated. Even the term "cover letter" is dated. 1. They assume that it is read before the resume. Most of the old job search books would lead you to believe that your resume is magically unfolded from the envelope (ahem, this should be your first hint that the info is out-of-date) with the cover letter on top, then read at a leisurely pace by a hiring manager. Nothing could be further from the truth. Your cover letter is only read after your resume has passed both a quick scan and a screen. Only then does the cover letter get any attention. So it is not an intro to your resume, it is a supplement to your resume. Your cover letter is not a letter. Gone are the days when the cover letter was nicely printed on a heavy bond linen paper, matching your hand crafted resume. 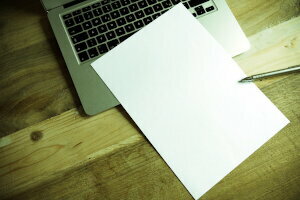 Your cover letter is not paper. Your cover letter is electronic. It is either the actual email which has your resume attached (when you are sending your resume via email) or an attached electronic doc (usually PDF or DOC format) accompanying your posted resume (either at a job board or company careers site). 3. They give too much info. 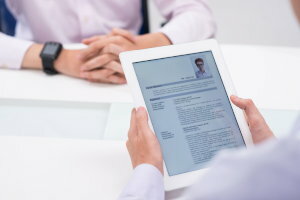 Your cover letter should cover only three paragraphs: 1) why you are applying for this position; 2) your custom paragraph on why you meet (or exceed) the job requirements; and 3) recommended next steps. The exception to this is when you are sending a personal cover letter to a specific person in your referral network. 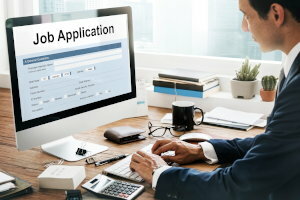 Then the second paragraph should cover your personal connection to the person and the type of role you are seeking. 4. They blast out the exact same cover letter to everyone. Your cover letter should be custom. Take the time to write specifically how you meet or exceed the requirements for the role. 5. They focus on features. Your resume already has your features. Sell your benefits. How? In that second paragraph, you need to nail your ability to deliver results. Employers hire for results. We have sample cover letters at CollegeGrad.com that are available to you for free. 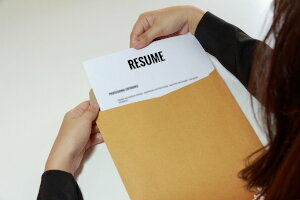 Along with dozens of resume templates to give you a quick start to your job search.